Commentaries in 10 languages : French, English, Spanish, Japanese, German, Russian, Portuguese,Czech, Italian, Chinese . Individual earphones. 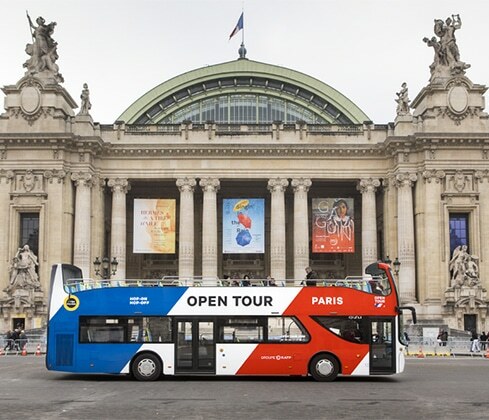 With your printed voucher, following a booking made online, present yourself at any Opentour bus stop and redeem it to the driver who will give in exchange the 1 or 2 days pass. It must be used on consecutive days. 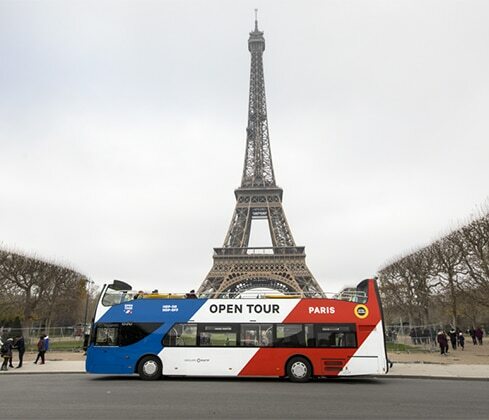 Visit Paris on board one of our open-top double-decker buses. 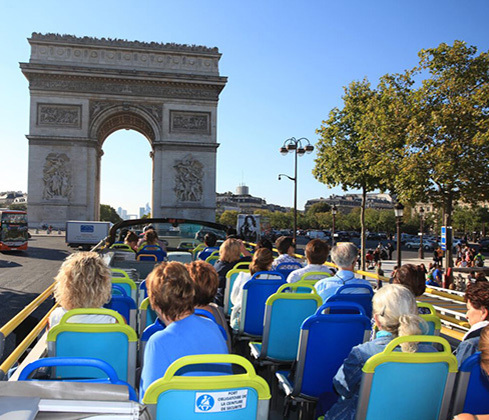 Enjoy exceptional views from the top deck, hop on and off as you please on our 3 routes, and visit the city at your own pace ! 2. Receive your pass : Present your e-ticket to the driver. 3. 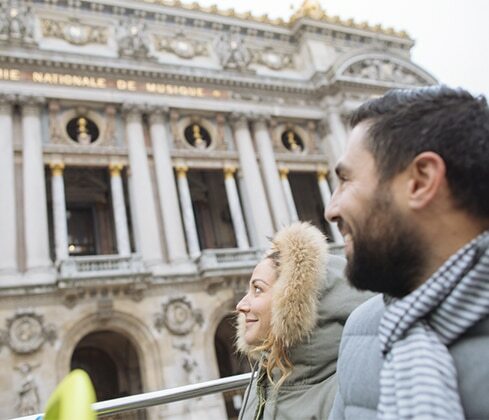 Use the pass : The voucher is valid for one year and can be redeemed on board.